Attaches your compatible earbuds to your music source for wireless HD music streaming. 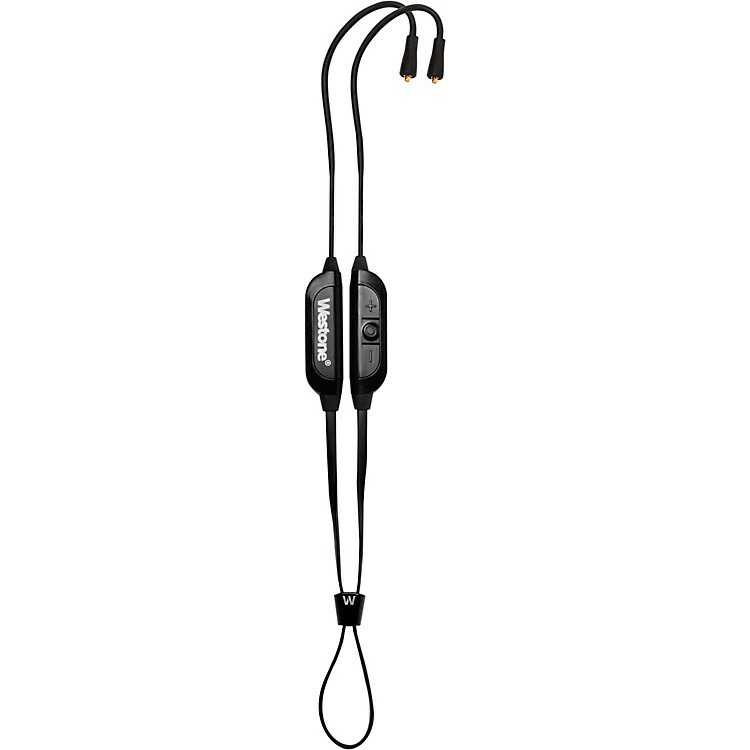 Powered by Qualcomm’s aptX with High Definition Audio, Westone’s Bluetooth V2 cable was designed for music lovers, and is specially tuned to deliver full-resolution audio for a truly amazing wireless listening experience. Featuring exclusive MMCX Audio Connectors with formed earhooks, Bluetooth V2 is designed for use with all Westone universal-fit and custom-fit in-ear monitors and earphones, and many other MMCX connector equipped earpieces on the market today. Enjoy your music and calls even longer with The Portable Charging Dock, a unique battery pack/charging module that extends battery life up to 12 hours between charges. Ideal for all personal audio and video devices including iOS and Android platforms. Hear your music better and longer. Order today.